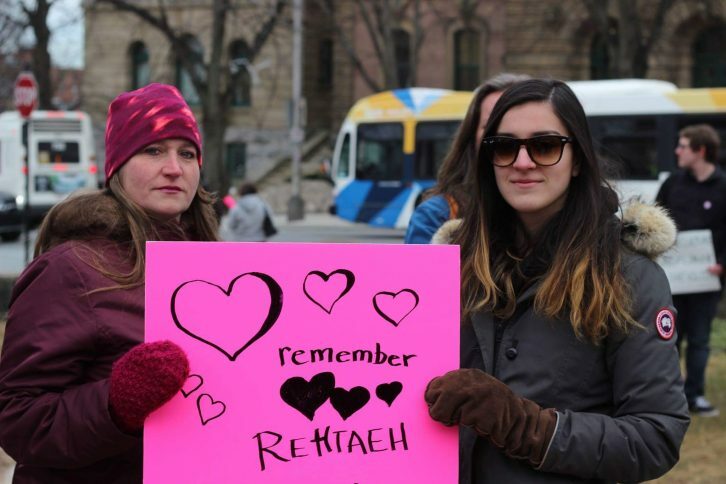 Hundreds of people gathered Tuesday afternoon to protest Judge Gregory Lenehan acquittal of Bassam Al-Rawi, a taxi driver accused of sexually assaulting a female passenger. A police officer discovered the woman partially clothed and unconscious in the back of the taxi in May 2015. The victim’s DNA was on Al-Rawi’s upper lip. 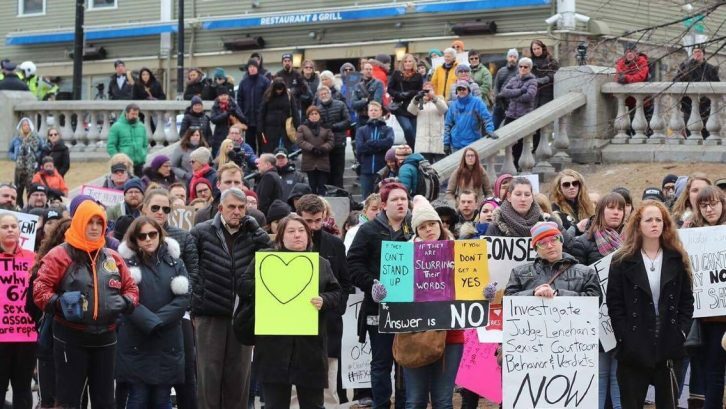 Protesters gathered at Grand Parade at 3 p.m. Attendees addressed the crowd with poems, speeches and songs before marching to the former Spring Garden Road Memorial Library — right in front of Halifax Provincial Court, where Al-Rawi’s trial was held. 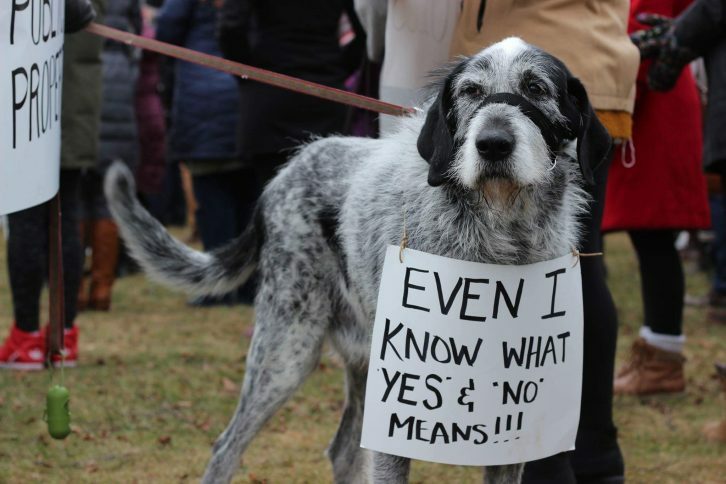 The news that Nova Scotia’s Public Prosecution Service will be appealing the sexual assault acquittal came just prior to the protest. One of the organizers, Amanda Dodsworth, posted on the Facebook event to say the rally would still take place. ‘What do we want? JUSTICE! 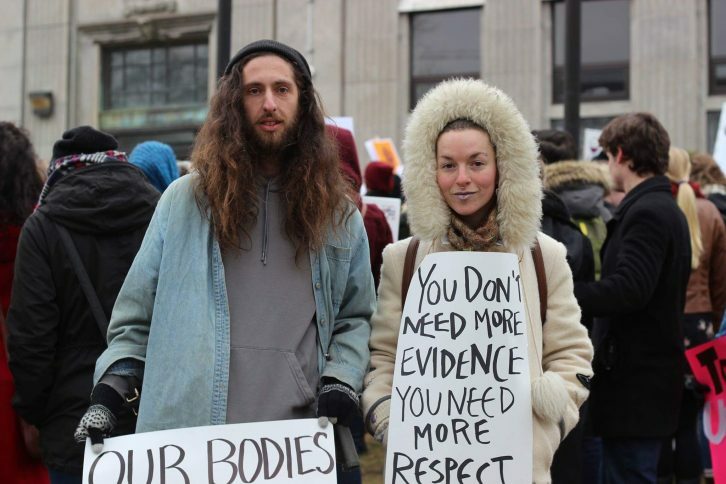 “The laws need to change in order for us to move forward as a society,” said Doucet. She felt there was ample evidence to show that what happened with the female passenger was not consensual. 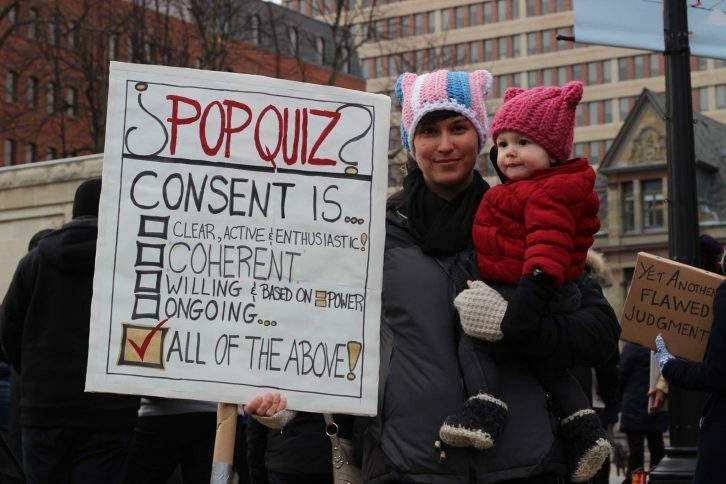 Many protesters stressed that people need to understand what consent means, and that the rally was a protest against Lenehan continuing as a judge. Luke Chiasson, 23, said he attended the protest because he wanted to be with people who didn’t agree with the ruling. “As a man, I feel like it’s important to hold that space for women in order for them to speak about whatever they need to speak about without judging,” said Chiasson. Rachel LeBlanc, 24, attended for personal reasons. Another protest is planned for Wednesday, which is also International Women’s Day.